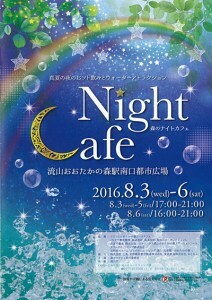 The same as last year, we support the “Mori no Night Caf e” to be held at the Nagareyama Otaka no Mori station square. 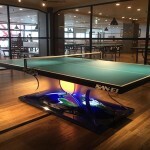 This year, you will be fascinated by the harmony of light, water, and sound. 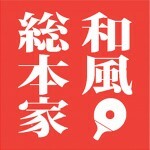 It is the NAGAREYAMA FANTASIA. 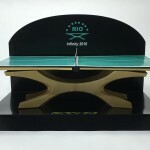 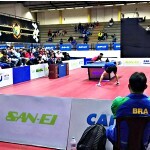 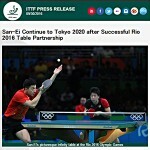 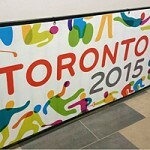 SAN-EI will install to the Table tennis table that adopted on Rio de janeiro Olympic. 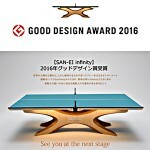 This is a good opportunity to the playing table tennis in outdoor. 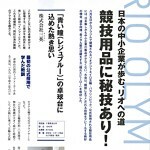 *Meet the event canceled only in case of heavy rain. 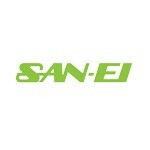 Nagareyama city Mori no Night Cafe will be held !